The Oxylog 3000 plus is an advanced transport ventilator with specific features which makes it suitable for the transport of paediatric patients and those patients with more complex ventilation requirements. In addition to the standard IPPV, the ventilator provides a wide range of pressure and volume controlled ventilation modes, as well as the non invasive modes of BiPap and CPAP. The unit has integrated capnography and autoflow with a quick start up time to ensure it also ready for use as soon as it is needed. It can operate on mains or battery power and is ideally suited for all phases of transport in the air or on the road, with a 4 hour lithium iron internal battery for use in between power supplies. 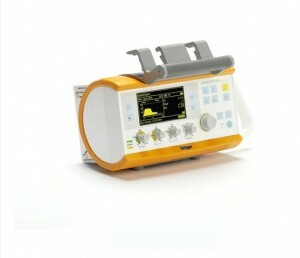 The ventilator is rugged, designed for pre-hospital care and transport and has proven to be very reliable. We carry this on our Air Ambulance transfers to help us to be prepared for any situation we might encounter.